This posting addresses the Soul-Spirit Interactions of One’s 10 Logic-Information Potentials (Destiny) with the 27 Celestial–Terrestrial–5 Element Information-Energy Paths. This interaction is in computer execution between One’s birth (10 Destiny Potentials) and these 27 Information-Energy Paths. 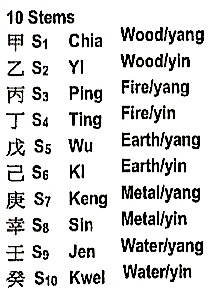 Below are the 27 Information-Energy Paths as formulated in the I-Ching Logic. 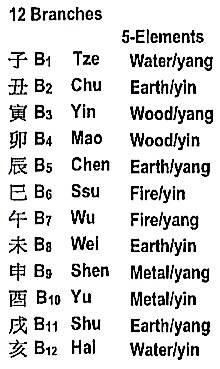 Thus, the above Yin-Yang/5-Element formulations define the interaction-execution actions of the Stems—Branches—Birth Destiny, especially when the Birth Destiny is also formulated in the actions of the Yin-Yang/5-Element cycles. In fact, the Birth is defined by the following 8-coordinates or 8 Destiny Logic-Potentials. The other two coordinates in the 10-Destiny Logic Potentials are Free Will and the time-zone of the birth place. Time-Zone is used because the Birth Time must be converted into China’s Time-Zone. 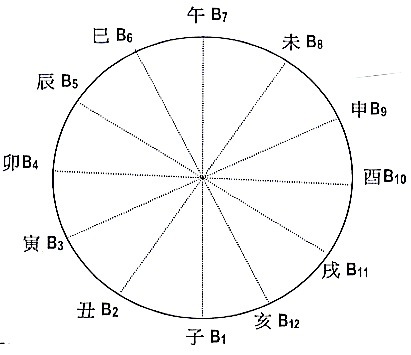 In short, the Local part of the Stem-Branch interactions is connected to the Chinese Calendar, while the Non-Local part are connected to the Logic Vacuum for the Stems and the Information Vacuum for the Branches. The difficulty of this formulation is in converting the Birth-Time to Stems and Branches. This set of 10 Logic-Information defining the Birth Destiny represents the Key, while the 27 Stem-Branch Information-Energy Paths depict the Lock. A few of the Stem-Branch Interactions, in diagrams, are shown below. Presented here are examples only. Human physiology is layers within layers of Holon interactions among many observers—observed—reference frames. A very brief and simple picture of these interactions is illustrated below. 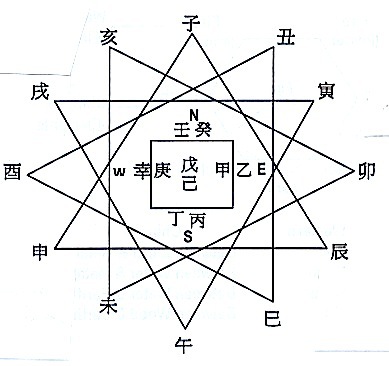 The 12 Branches and their connections (to the Date–Time–Year of local/non-local force—energy—information formulated in the Chinese Calendar) are depicted in the diagram, while the 10 Stems and their connections are not illustrated. 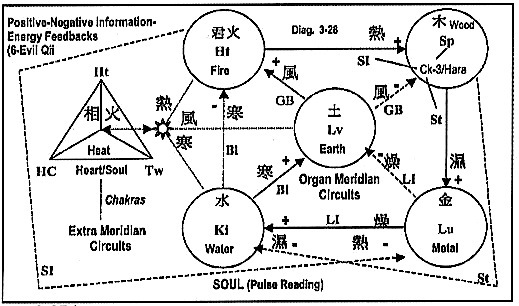 Not illustrated are chakra connections, the individual biased physiological information-energy paths defined by one’s birth, name, and free will. Some of these interactive layers are in the Chinese Pulse Reading and others in Electro Acu-Point measurements. The following two diagrams further illustrate these connections. What I have presented in this posting is the idea of simplicity within complexity in the body-brain—soul—spirit physiology. The simplicity is the fact that all the complexities are based on (1) the 10 Logic-Information Potentials of one’s birth—name—free-will coupled to (2) a 27 Information-Energy path, and (3) is continuously bombarded by a local Energy-Qi Field. 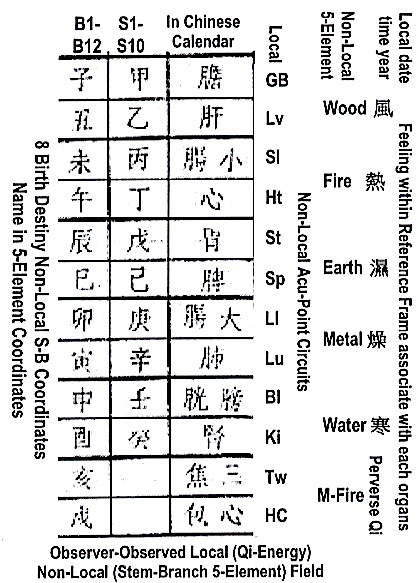 The simplicity is that all three sets of interactions, whether they are local or non-local, are formulated by the interaction between the Non-Local Holon of Stems—Branches—Five Element (items 1 & 2) and the Local Energy-Qi Field (item 3). In short, the formulation for the Holon has to do with the Information crossover from the Logic Vacuum to the Information Vacuum, while the Energy-Qi is the force that collapses the Soul Information-Energy onto Energy-Chemistry. This task is simple because the Holon items 1—2—3 are formulated within the coordinates of Stems, Branches, and the 5-Element / Qi connections (even for birth-name destiny). 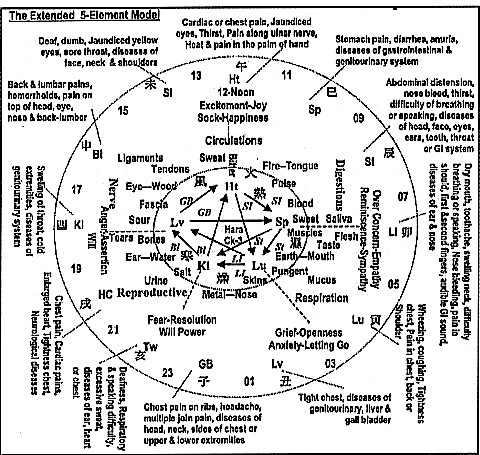 The hard part is converting all related local and non-local elements into their corresponding Stems, Branches and 5-Element / Qi coordinates. But this latter task can be accomplished by the computer. Once all related elements are converted, all the interactions are based on the four 5-Element cycles as formulated above and can also be programmed into the computer. In addition, even herbal formulations are also based on the 5-Element. Notice also once these formulations are programmed into the computer, the psychic operator (namely a good pulse reader) is out of the picture. This is the philosophy of WebHealth.